Value Seeds, a young Nigerian company working in collaboration with several development organizations and research institutes, tops the 2019 Index for Western and Central Africa. It has an access to seeds strategy focusing on smallholder farmers, particularly through its marketing and sales and capacity building activities, and reaching youth and women smallholder farmers. Its ‘value kit’ for maize is tailored to smallholders. In addition, Value Seeds is actively breeding and intends to release its own varieties shortly. The company’s activities are currently limited to Nigeria. Technisem, from France, ranks second. Its notable research and development program is dedicated to adapting global vegetable crops to tropical conditions while also encompassing a high number of local crops. Through its leadership of and partnership in the Novalliance, it collaborates on breeding, marketing and extension with various regional seed companies, three of which also feature in the index: Nankosem, Semagri and Tropicasem. In third place, East-West Seed’s smallholder-centric business model sees it perform well across all measurement areas. This is with the exception of Governance & Strategy and Seed Production, in which it demonstrates relatively few commitments and activities compared to other regions. The company has recently started breeding activities in Western and Central Africa, which for the moment focus on local crops. Syngenta, which offers an integrated portfolio of vegetables and field crops, ranks fourth. The company’s Good Growth Plan and activities carried out through its affiliated Syngenta Foundation are leading examples of regionally targeted access to seeds strategies. In the region, Syngenta is particularly active in governance issues regarding harmonization, whereas the foundation focuses to a large extent on capacity building of pre-commercial farmers in the region. Tropicasem from Senegal, and part of the Novalliance group, completes the top five. It has comprehensive capacity building initiatives and one of the oldest breeding programs in the region. It goes to great lengths to reach smallholder farmers through its marketing and sales activities. From and only active in Nigeria, Maslaha Seeds ranks sixth thanks to strengths in Seed Production, in which it engages smallholder farmers, and Marketing & Sales, demonstrating a robust smallholder-friendly policy and quality management systems. Seed Co, originally from Zimbabwe but now headquartered in South Africa, is in the process of expanding in Western and Central Africa. 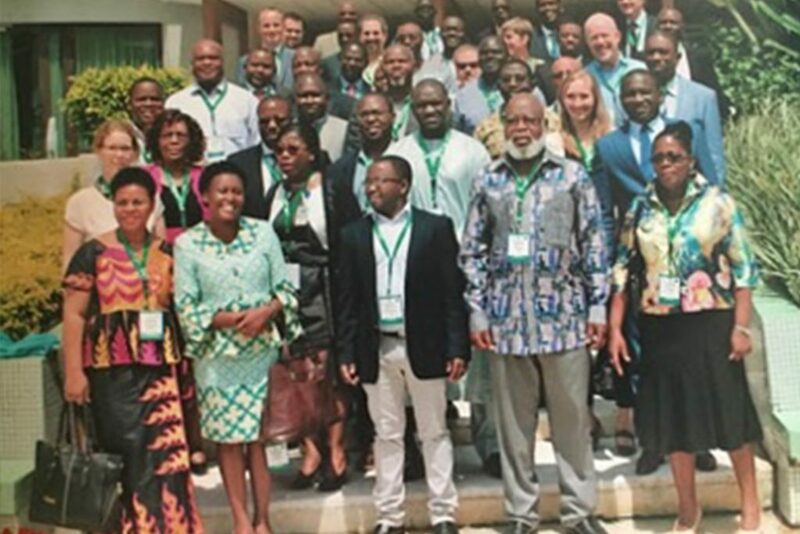 With a breeding station in Ghana, production sites in four index countries and both a commitment and activities to attract smallholder customers, Seed Co ranks seventh. Semagri, another member of the Novalliance, ranks eighth. 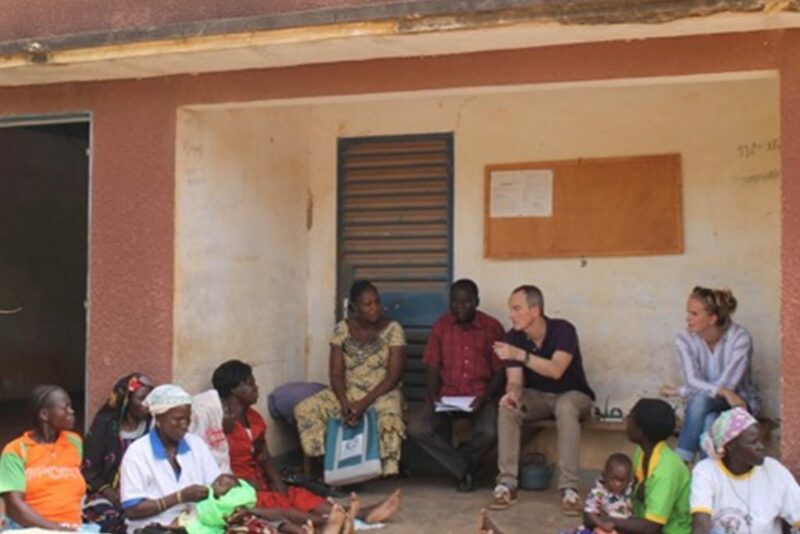 With smallholder-friendly activities in capacity building and marketing and sales, Semagri demonstrates commitments to smallholder farmers and incorporates their feedback in its breeding process. The company is only active in Cameroon. Nankosem ranks ninth. The fourth Novalliance group company in the index, it shows similar strengths in capacity building and marketing and sales as its partners, while also involving smallholder farmers in seed production. The company is only active in Burkina Faso. Ranking tenth, Corteva Agriscience demonstrates relatively consistent scores across most measurement areas and several notable leading practices. In 2013, it took over pan-African company Pannar as part of its entry strategy into the region. Of particular note is the company’s licensing of proprietary transformation and CRISPR-Cas gene-editing technologies. Its hybrid maize adoption program in Ghana (GAMSAP) is an industry leader. Premier Seed, from and active only in Nigeria, ranks 11th, thanks to a strong performance in Capacity Building. 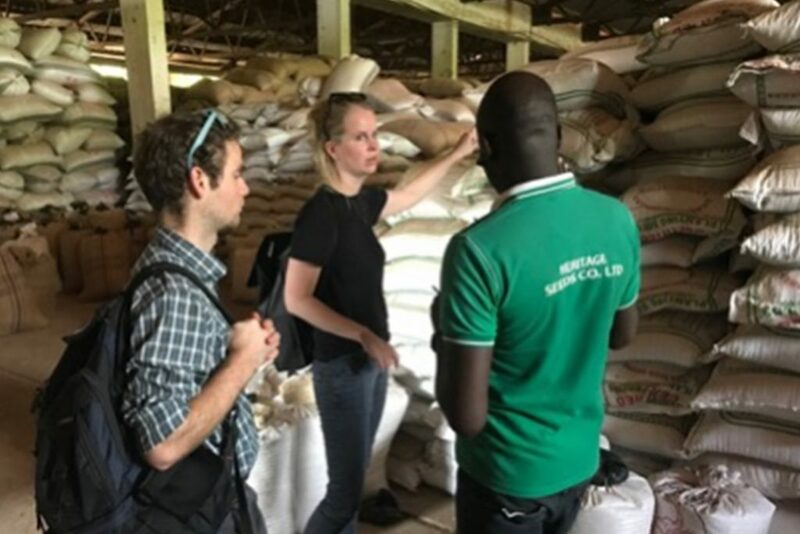 Also notable is its Rice Special Program, which holds three area meetings each year to engage and train smallholder growers employed by the company to produce seed. Nigerian Da-Allgreen Seeds ranks 12th, showing some strengths in its access to seeds commitments in Governance & Strategy and throughout Marketing & Sales. The company also performs strongly in terms of engaging smallholder farmers in seed production, and in testing varieties suitable for the market. Its activities are limited to its home country. Globally operating Pop Vriend Seeds ranks 13th. It exhibits strengths in Intellectual Property, with policies that support both breeders’ and smallholder farmers’ rights. In Marketing & Sales, the company’s quality assurance mechanisms are guaranteed to follow International Seed Testing Association standards in all markets it serves. SOPROSA from Mali ranks 14th. Active in five index countries, the company is in the process of developing its maize and sorghum breeding program. It also trains young farmers to produce seed. AINOMA from Niger ranks 15th. It is dedicated to smallholder farmers, particularly through its capacity building activities, which include both youth and women smallholder farmers. The company is only active in its home market. Ranking 16th, Monsanto receives recognition for its seed production activities in Burkina Faso and adherence to stringent labor standards. It also donated intellectual property to the African Agricultural Technology Foundation to develop regionally adapted cowpea varieties. Faso Kaba from Mali ranks 17th. It performs fairly well in Seed Production and Marketing & Sales, involving smallholder farmers and cooperatives in its production scheme, whereas its marketing strategies aim to attract smallholder farmers, including women. The company’s founder and owner, Maïmouna Sidibé Coulibaly, won the Africa Food Prize in 2017 for her efforts to produce and supply seed of improved varieties across the region. Agriplus Mali ranks 18th. It tests varieties adapted to the market and is active in various projects sponsored by the EU and USAID to improve access to improved sorghum and millet varieties. In 19th place, BILOHF is the only index company from Côte d’Ivoire. It engages with cooperatives on seed production and has developed an SMS-based weather service for smallholder farmers. The 2019 Access to Seeds Index for Eastern and Southern Africa is comprised of 22 seed companies. Evaluation of company performance is based on publicly available information as well as information provided through active company engagement. Three-quarters of the selected companies disclosed additional data via a questionnaire. The index therefore offers insights not yet available in the public domain. 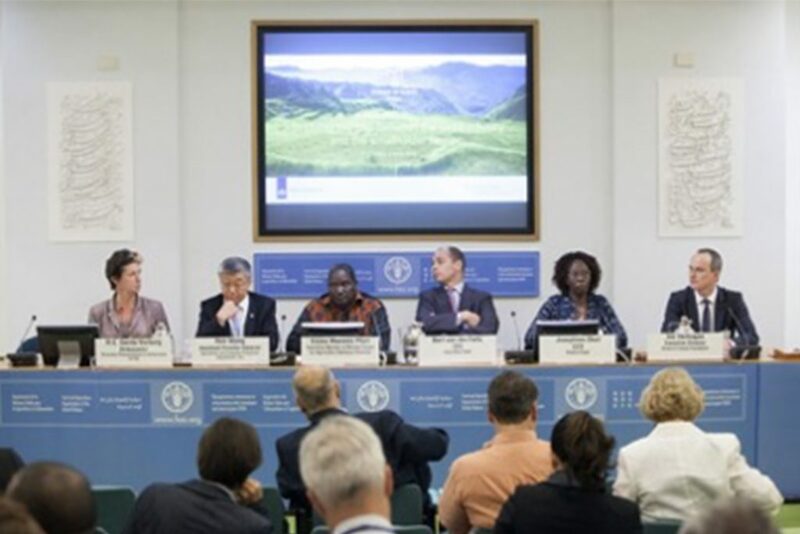 The idea to develop an Access to Seeds Index for Western and Central Africa was announced at the FAO in Rome, Italy on June 3, 2016. 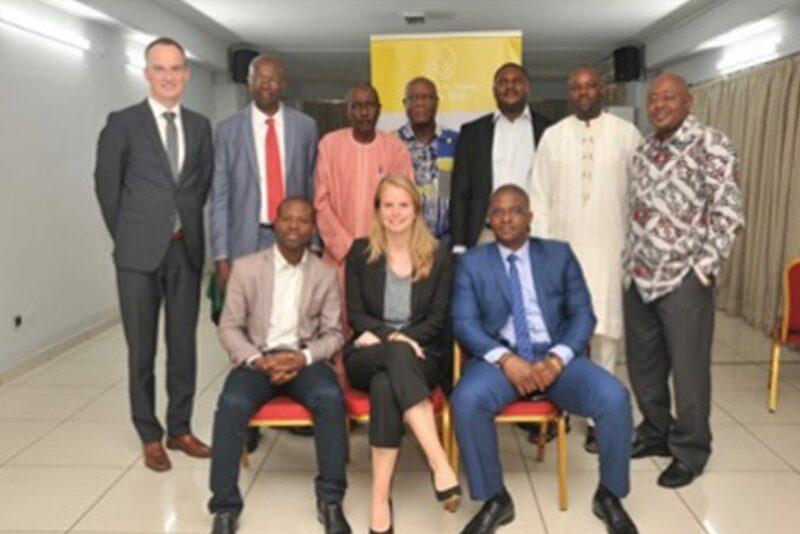 During a consultation workshop on October 25, 2016, organized in Abidjan, Côte d’Ivoire by AfricaSeeds, the Bill & Melinda Gates Foundation, and GIZ representatives from national governments and the African Union provided input for the methodology. 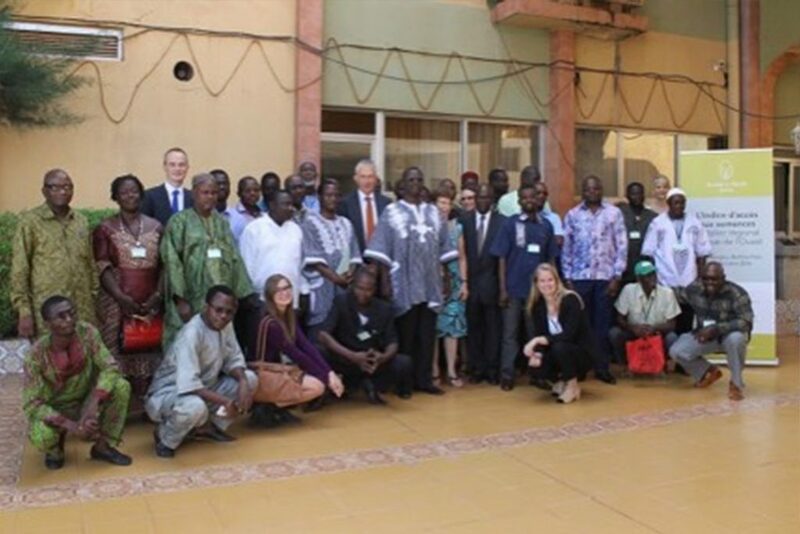 Farmer organizations from Western and Central Africa provided input for the methodology during a roundtable hosted by CPF, ROPPA and Asprodeb in Ouagadougou, Burkina Faso on October 18-19, 2016. During 2016 and 2017, the Access to Seeds team made various field trips to consult local farmer organizations and seed companies about the accessibility of quality seed in the region. Photo: Women smallholder farmer consultation in Burkina Faso, October 21, 2016. 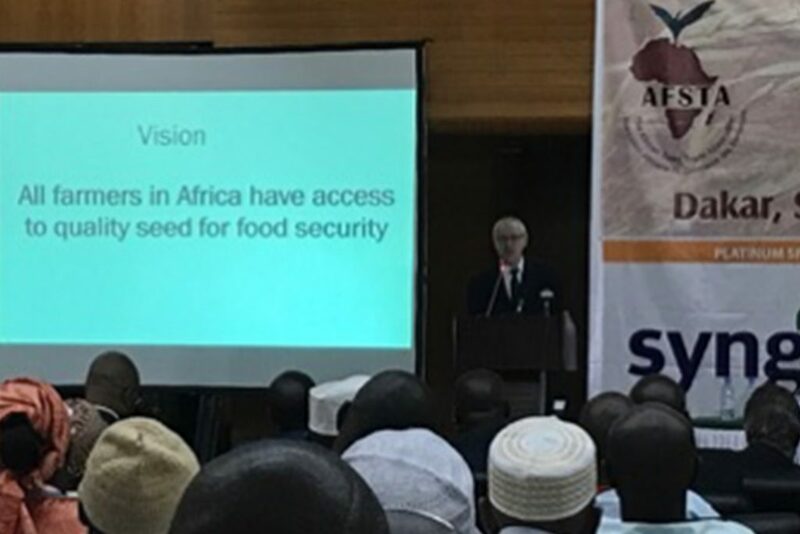 At the 2017 AFSTA Congress in Dakar, Senegal (February 28-March 2), the plan to include all sub-Saharan African countries in the scope of the Access to Seeds Index was discussed with the regional industry. The Expert Review Committee met in Abidjan, Côte d’Ivoire on October 10, 2017 to discuss the methodology for the regional index. 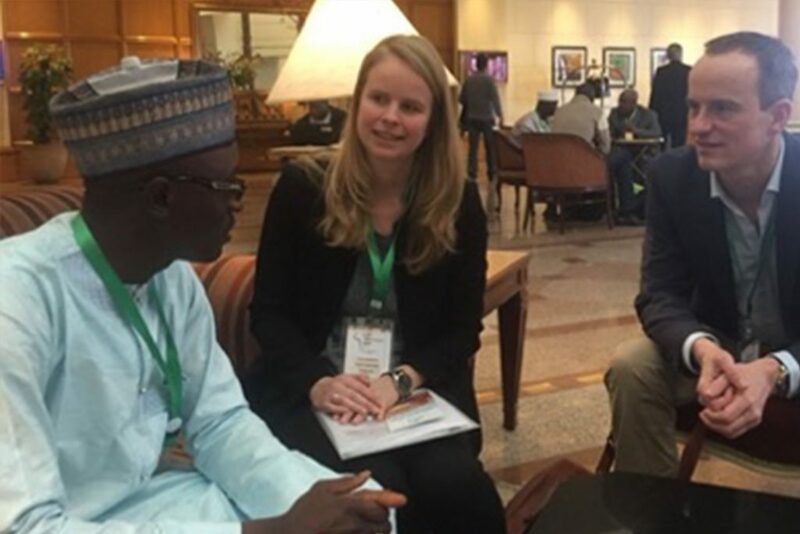 At the 2018 AFSTA Congress in Cairo, Egypt (February 27-March 1), the Access to Seeds team met with several of the companies included in the Index for Western and Central Africa and outlined the company selection and data collection process. In 2017 and 2018, the Access to Seeds team made various visits to seed companies in the region to familiarize the industry with the index. Photo: Visit to Heritage Seeds, Ghana, April 16, 2018.